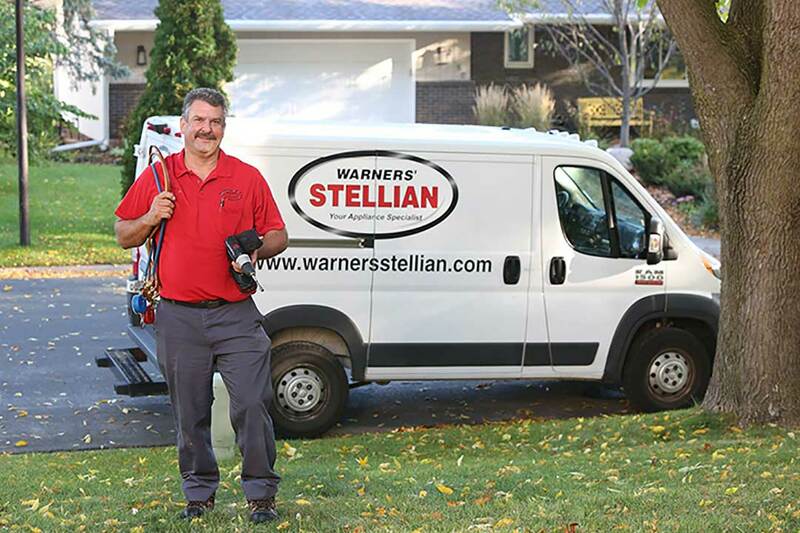 Warners’ Stellian has been providing families in the St. Paul and Minneapolis, Minnesota areas quality appliances with exceptional service and value since 1954. As a family-owned business, they take pride in their knowledgeable staff and expert technicians because they know those factors contribute to excellent customer service like no other. Warners’ Stellian wanted to extend that exceptional service by providing more ways for their customers to engage with them. 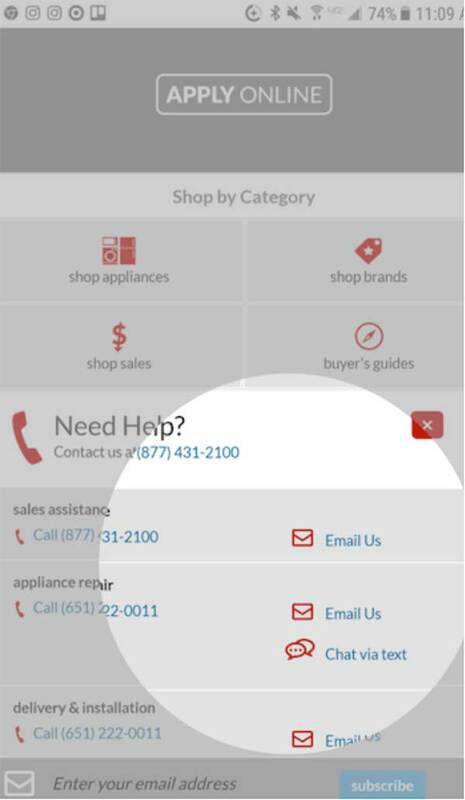 The appliance retailer partnered with Quiq to add SMS/text messaging and web chat to their mobile and desktop sites. Q: What prompted Warners’ Stellian to deploy a messaging solution? A: We have such high call volume, so enabling customers to have more touch points was the goal. Warners’ Stellian contact center, which normally receives a high volume of calls, uses messaging to deflect some of the inbound calls for customer support. This capability proved itself to be valuable after a particularly busy summer where they experienced an increase in calls and wait times. The contact center was able to redirect some of the pent-up call demand to text and chat, allowing them to address customer issues much faster. Prior to offering customers SMS/text messaging and web chat for customer support, the company’s call center agents supported phone, online forms, and email. By partnering with Quiq to open the messaging channel, the company has increased efficiency by converting inbound calls to text messages for both sales and service. 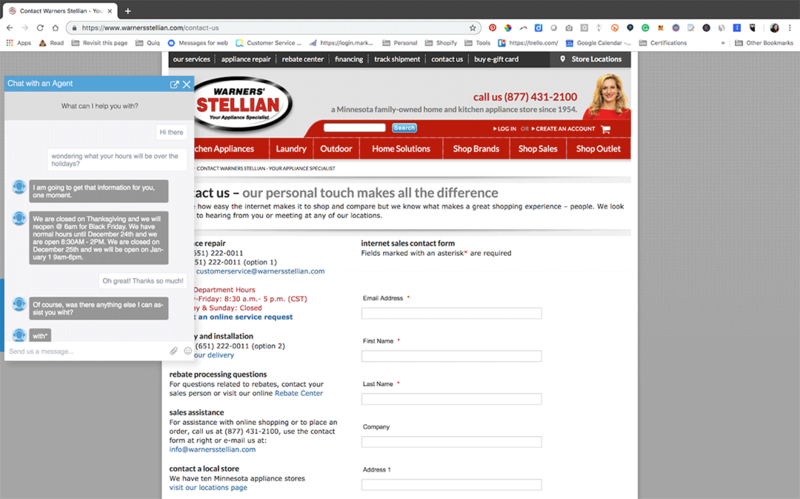 Warners’ Stellian promotes messaging on the website’s “contact us” page and during the message the customer hears while on hold. The company has been surprised at how much customers, who initiate conversations via messaging, want and like these new options. The customer service team has found that customers waiting on hold to talk to a customer service agent would often just hang up to text. When customers were given the option to chat for assistance versus waiting on hold, the company saw a spike in the number of chats created. Quiq allows the company’s 45 users, which includes 20 call center agents, 20 sales associates in 2 store locations, and select administrative and sales associates to handle all the active messages Warners’ Stellian receives at any given time. When things get really busy, agents will easily handle 4-5 conversations at a time. The majority of the inbound conversations are related to repairs. “When a customer reaches out, they’re really looking for help on a very specific problem, it could be functional or cosmetic,” states Kurt Duhn, Customer Service Manager for Warners’ Stellian. Either way, the customer support team is able to respond in a faster, easier way. Internally, the customer support team is learning how to most effectively communicate using this new channel. The support team has learned that there needs to be a focus on written communication skills, such as succinctly responding and engaging without the use of slang or abbreviations, as well as determining when to transition from text or chat to speaking directly with the customer. The ability to easily share photos and videos, which customers can use to explain their situation, has improved conversations. The customers can take a photo and quickly send it within the conversation to reduce some of the back and forth. Since many of the conversations are about repair issues, contact center agents spend a lot of time reviewing warranty information. The company wants to explore whether a simple bot can be used to help pre-qualify or at least collect the information needed to determine if the customer is still within their warranty. Warners’ Stellian would also like to use Quiq Messaging to push more “how-to” links and more routing options. If a customer initiates a conversation referencing “Whirlpool” and “microwave”, the customer can be directed to a website resource, like a knowledge article, to look up that information before continuing on to engage an agent.